Not all earn a bomb of a salary and if you are starting out, it is all the more unlikely to earn big straight away. These simple money saving tips can go a long way not leave you broke at the end of the month. With the economy tight and new jobs tough to find, there are times when your expenses can rise rapidly and your salary does not match up to that; especially when you are starting off or are on a low income. Some common and simple ways can help you save money when you are on a tight income and still lead a normal lifestyle. Here are 12 ways to save money in India that can make a huge impact on your bank balance. However down market it may sound, bargain. Bargain as if it’s your birth right. Everyone has margins when they sell and in today’s scenario with slow economy, they will go the maximum length to get the sale closed as soon as they can. Also it’s easy to bargain as you can compare prices of stuff online on various websites from flipkart, ebay, olx, quickr and lot more. Even if you do not like online shopping, keep the prices handy and when you visit a store, ask them that this is the price you are getting online; even in case of large showrooms. They may not offer you that much, but will surely bring down the prices by 5-10% or add some bonus stuff in the deal. 3. Brands, do you need to flaunt them all the time? 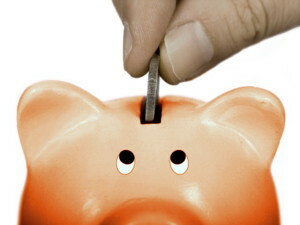 Nice article on savings… like point 7. Consider online shopping in the article. I just want to share my small little savings tip here. I have been shopping online buying a lot of things like house hold items, books, electronics.. etc., but sometimes, I do google and check whether any coupons/discounts available so that I can save some money, sometimes I get but most of the time I don’t. Just few months back I signed up this site bit.ly/cashkaroindia where they not only offer coupons/discounts plus you get extra cashback for every purchase you do on flipkart, snapdeal, amazon, ebay… and lot more). I now have few hundred rupees (cash savings got by cashback) in my account till date, not a big amount, still not bad! Anyway we are going to purchase something online, why not just do it via this site and save a bit. Hi Aniket very nice. Big things in easy language. Pls keep going on.. Thanks, keep coming back for more. Aniket thanks for the easy steps towards cost cutting n good saving. Thanks a lot, do come back for more!! Wow..what a easy step to save some bucks…never thought !!! Thankz for sharing.